I won't hold you, I felt SOOOOOO bad after making that best of 3000 mixtape last week & having to take out Big's verses that I HAD to make a best of Big Boi mixtape ASAP! Then instead of having to take Big's dopest verses from old Outkast songs like I had to do with 3000, I decided to take bangers from BIG's 3 solo albums (I'm including Speakerboxx) that over time I've learned that some of the biggest Outkast fans I know STILL haven't heard these jawns smdh. Then it hit me, that this whole Dre/Big thing is like that episode of the Fresh Prince when Will's dad (aka 3000) came to town and how Will was ready to say deuces to Uncle Phil (the person who's been holding him down for YEARS aka Big) and then Will's dad leaves him hanging in the end. (aka 3000 leaving us hanging with no album in site) Ya'll get the analogy? See, basically Big has been holding us down for the past 15 years since we got "The Love Below" from 3000 but anytime 3000 pops up with a verse we forget all about Big who's never left our side in hope that THIS time we're FINALLY gonna get that 3000 album with him rhyming. But come on ya'll...we all know deep down inside that it's never coming. In fact, I'll go out on a limb & say we'll get a Jay Electronica album before we get that 3000 album. 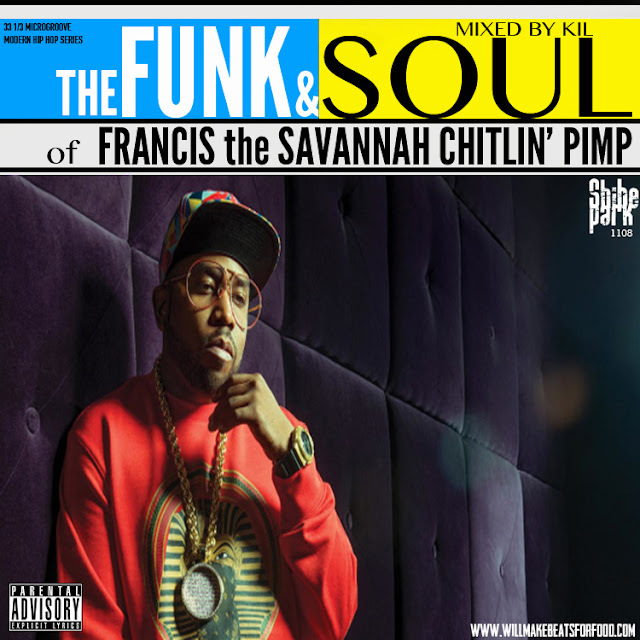 Well, all of that to say, bang out to my The Funk & Soul of Francis the Savannah Chitlin' Pimp mixtape & let's stop taking Uncle Phil for granted cause he's always been there for us the next time pop shows up promising to take us out on the road with him, aiight?